Over the course of Hunter S. Thompson's extraordinary life, he was publicly branded a bum, a vandal, a thief, a liar, an addict, a freak and a psychopath. Only some of which are true. Even in a 20th century crowded with celebrity, his legacy retains a brilliantly vital force. This is his story... the story of a troubled kid from Louisville, Kentucky, who went on to become an international icon. 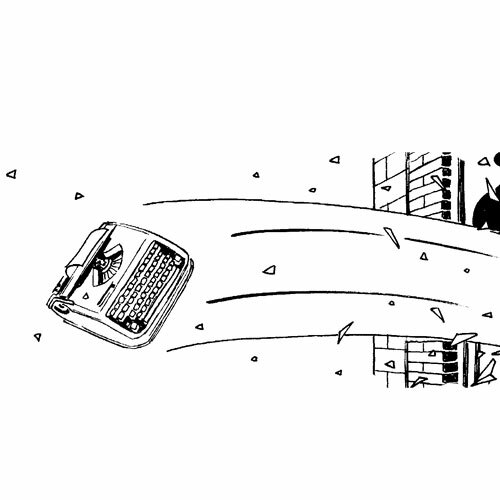 This is a story that charts the legendary heights of so-called 'Gonzo journalism', plumbs the darkest depths of American politics and presents a lifestyle beyond imagination. 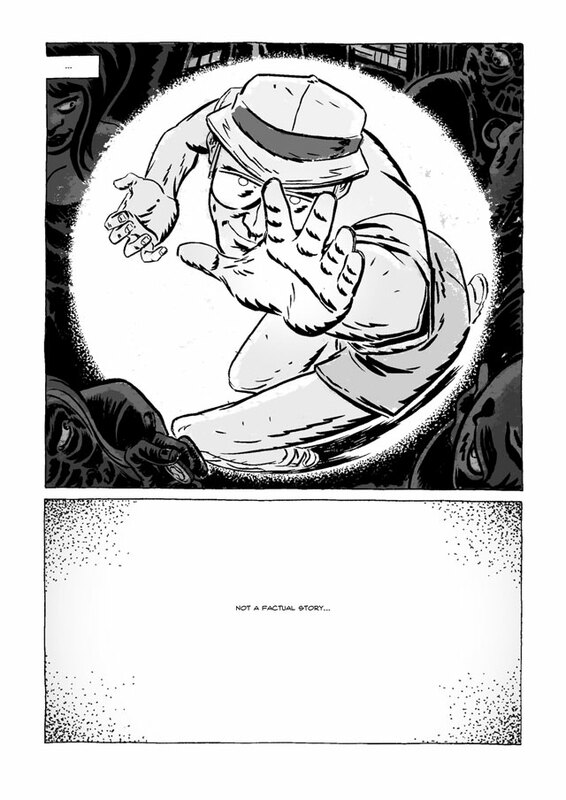 Will Bingley began self-publishing comics at the age of 16 in his home county of Cornwall. In 2003, he moved to London, where he embarked on a career in the film industry, working as a screenwriter and script editor on several major studio productions, before moving into TV and advertising work. He is currently a regular arts commentator in the UK press, as well as a contributor to several anthologies and journals. Anthony Hope-Smith studied graphic design and animation and now works as a professional illustrator. He has created visuals for advertising campaigns, videogame box art, book covers, children's book illustration and storyboards for television. His first love has always been comics. 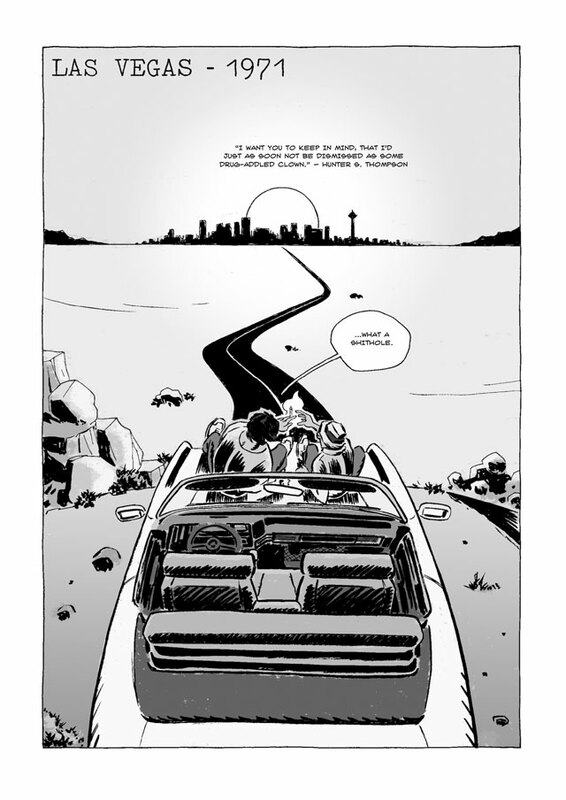 Gonzo is his first full-length graphic novel. "Text and image interact and collide with audacious, intuitive logic, capturing the essence rather than ticking the boxes. And when you get to the end, you realise the whole damn thing was pulled off without a single cliché." 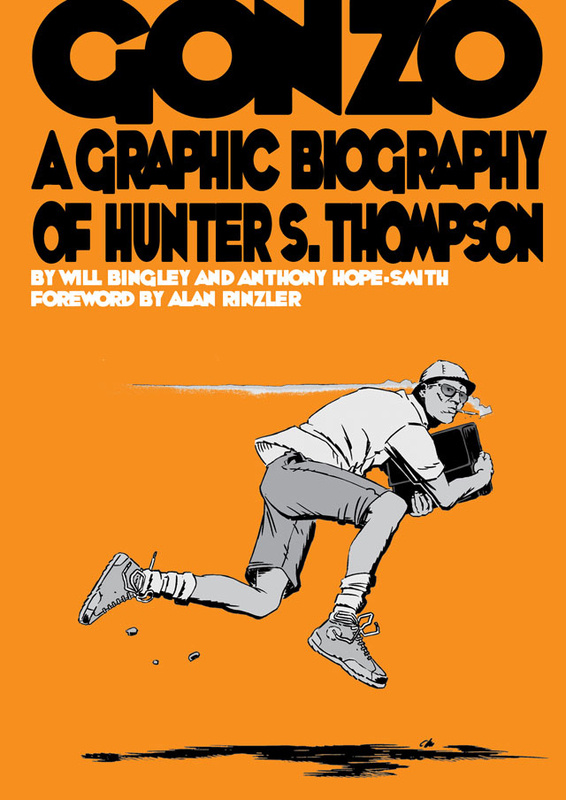 "Another fantastic biography from SelfMadeHero... a smashing book from two rising talents."